How To Set Google Plus Custom Username? Home > Tips and Tricks > How To Set Google Plus Custom Username? 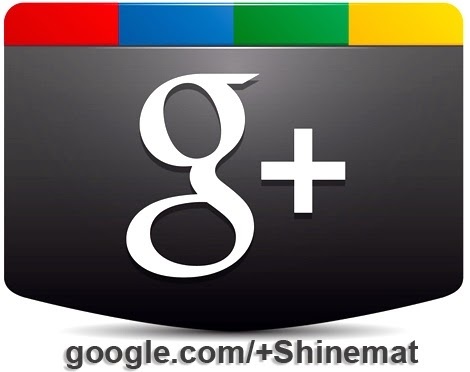 Since 2011 Google Plus has been creating lots of buzz in online community. Today I got a tech news in newspaper about Google Plus. 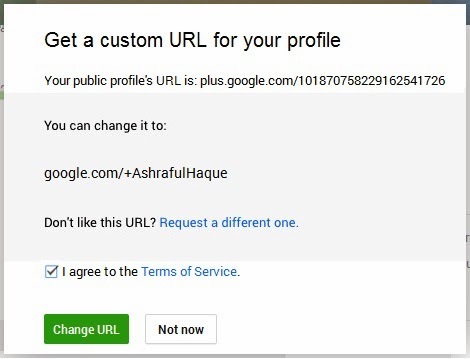 The great news is Google Plus finally launched its much anticipated feature “Custom Profile Username” Custom URLs are easy to remember, much easier to share with others, short and looks professional. This type of profile URL is looks ugly, so hard to remember and unprofessional. Before this mind blowing feature we were not able set Google Plus username directly except http://gplus.to/ third party’s service. But now we are able to setup our G+ profile username and custom page name officially from Google to get rid of those unattractive profile URLs. Required things to claim custom Google Plus profile link. 1. Must have a profile photo. 2. At least 10 followers. 3. Account must be over 30 days old. 1. Log in to your Google plus account with your ID and password. 3. A notice bar will be appear on top. You will see a pre-approved custom URL set by Google. 4. Now click Get URL button. 5. A popup box will appear. You can change your username if you don’t like pre-approved username set by Google. To change, simply click Request a different one link and type your desired username. Mention the reason for the change. If you don't want to change just leave without any change. 6. Check I agree to the Terms of Service. 8. 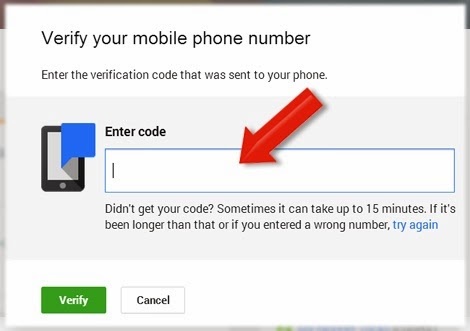 After accepting your custom URL Google will ask you to confirm your mobile number. Now select your country flag and type your mobile number. A code will come to your mobile. Enter this code in verification box and click Verify button. That’s all. You are all done. Now your Google plus profile address is just like below. So, what are you waiting for? Grab your Google Plus Username now!